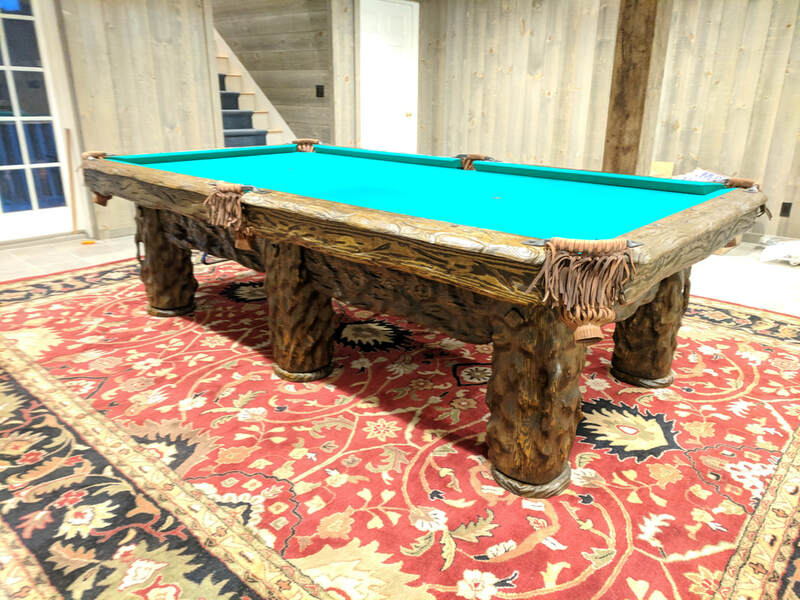 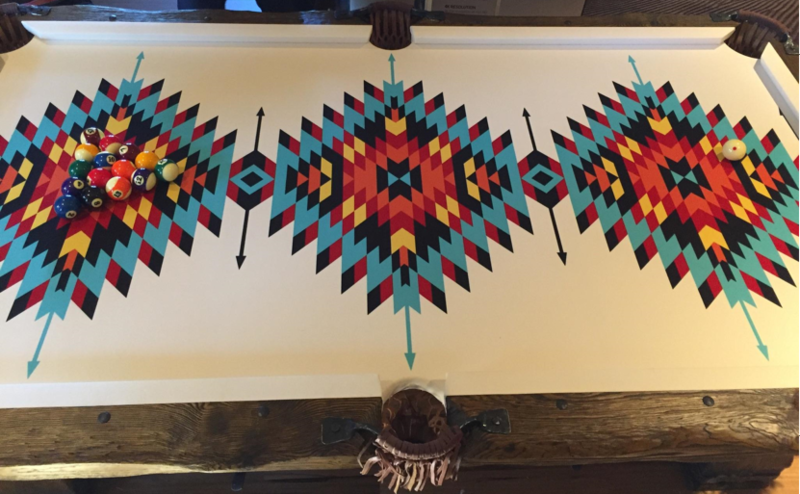 Grizzly Pool Table with Khaki felt in Arizona, 2018. 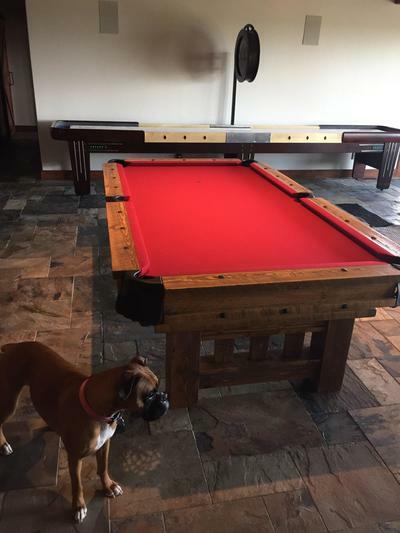 "Everything went well and the pool table looks great!" 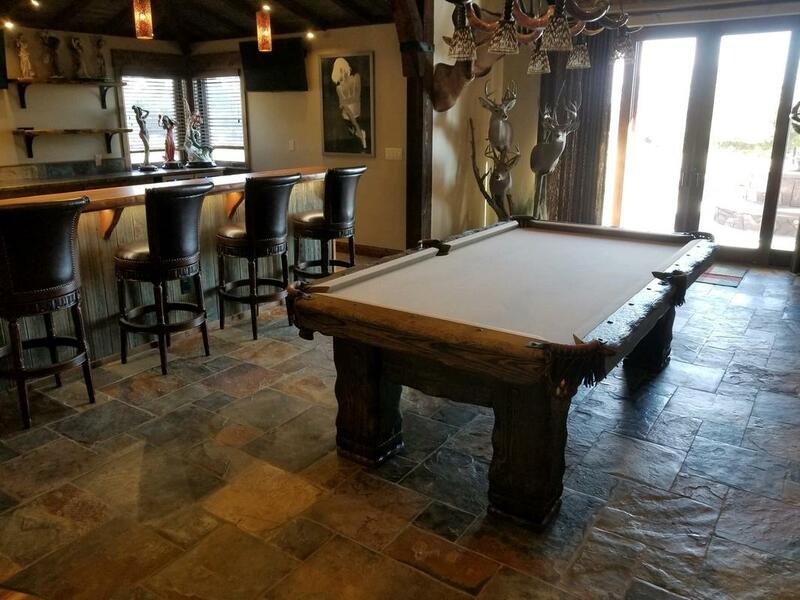 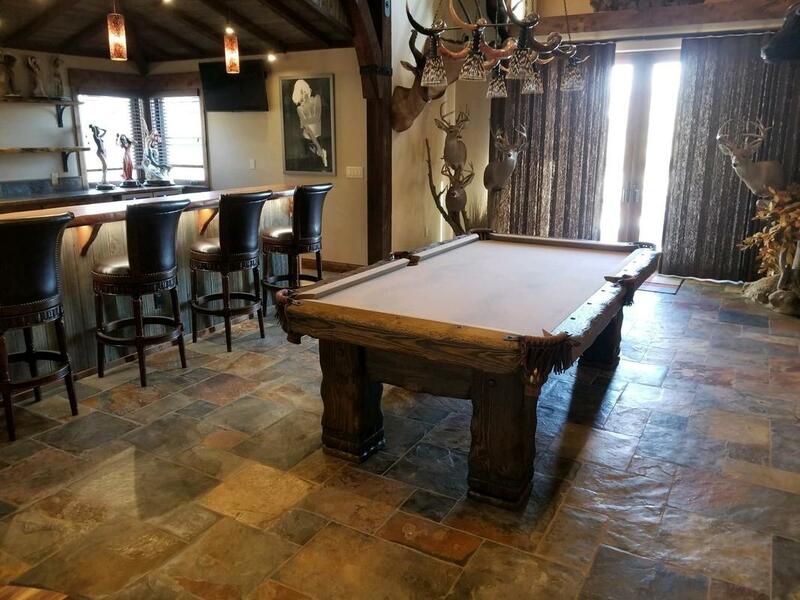 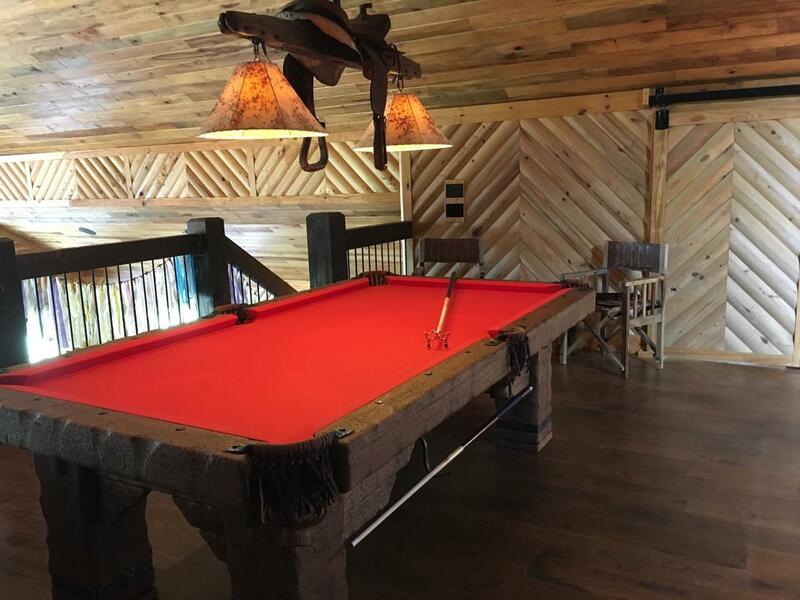 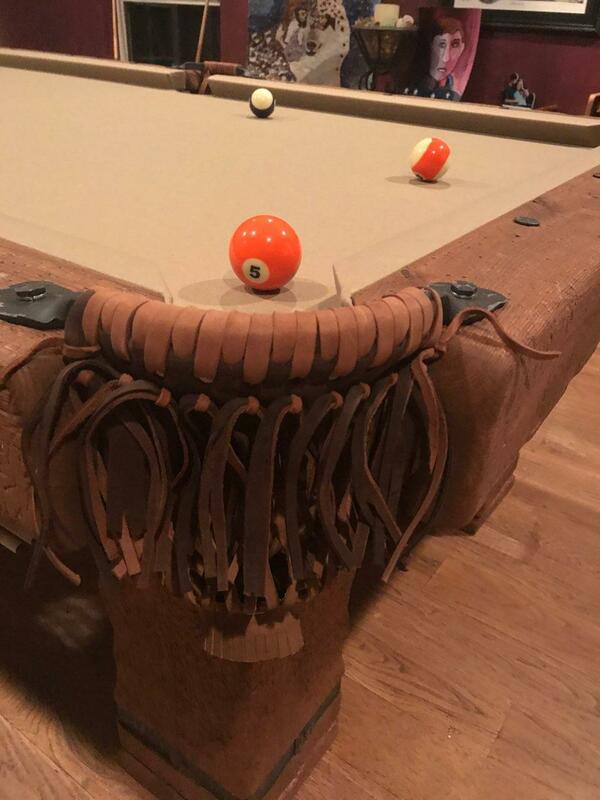 Texas January, 2018 Wild West Log Pool Table. 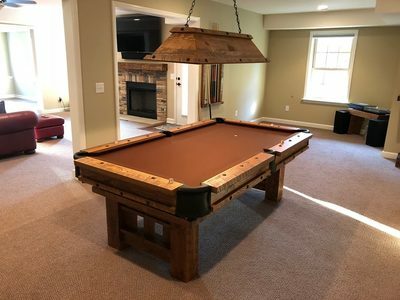 "It looks great." 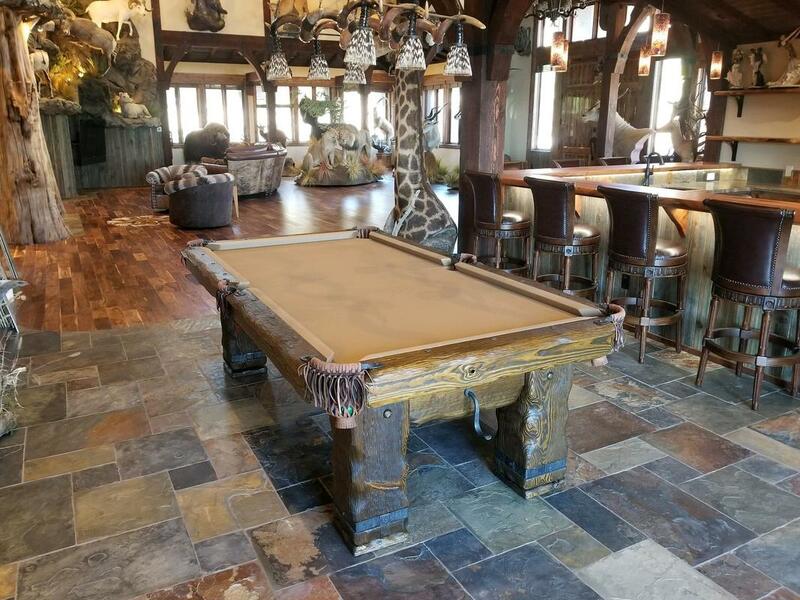 Brent in AZ Grizzly Bear Pool Table in Arizona in October, 2017. 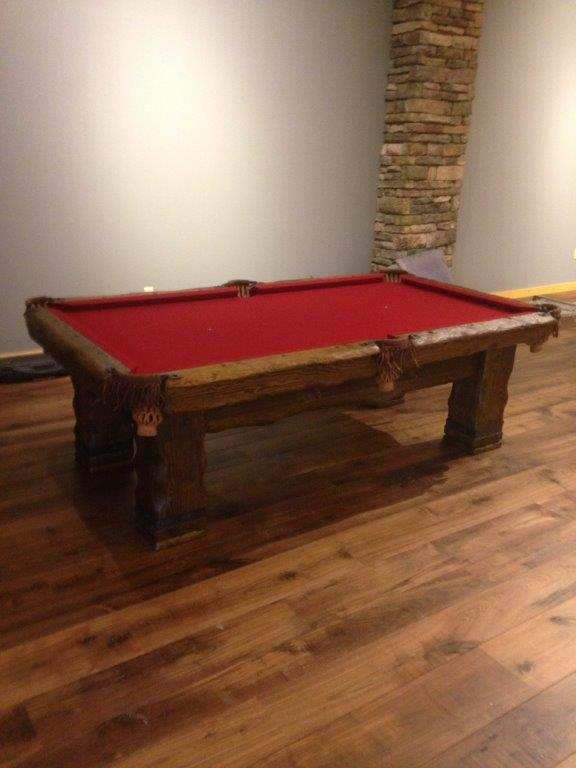 "focal point of the room"
Still LOVE it, a year later!! 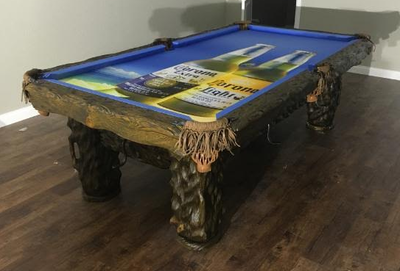 "It looks awesome in our rustic game room!" 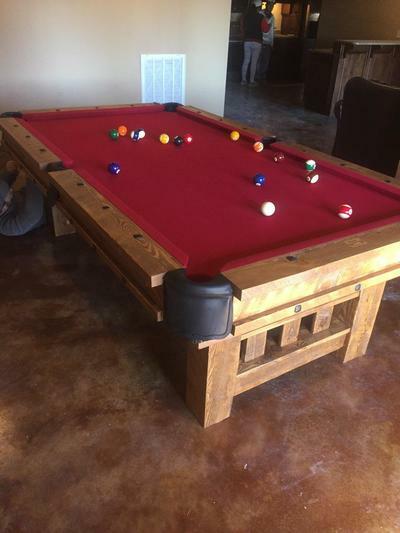 "something different that you just simply cannot find in your local stores." 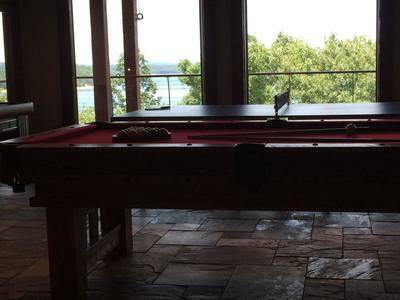 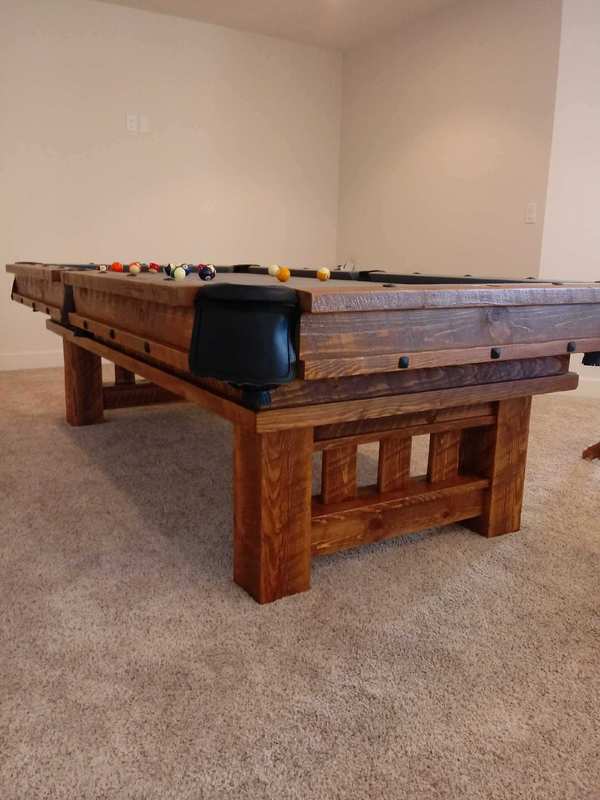 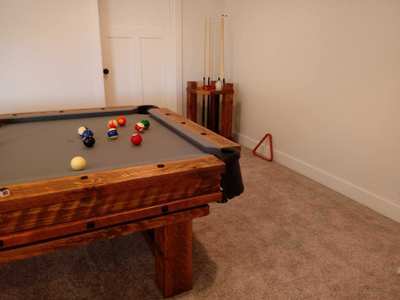 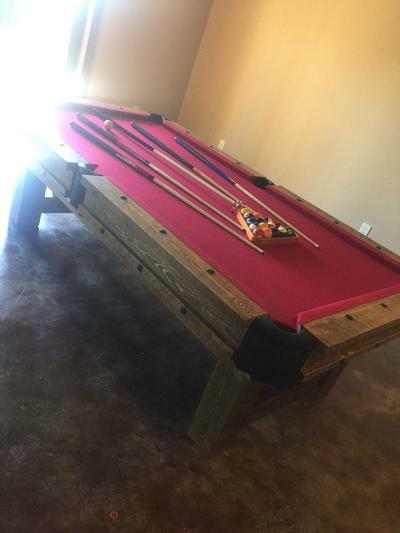 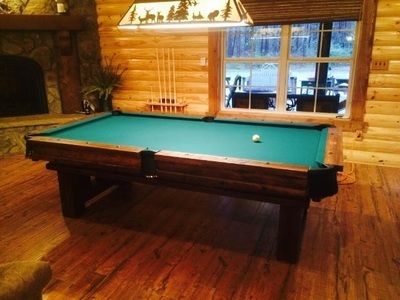 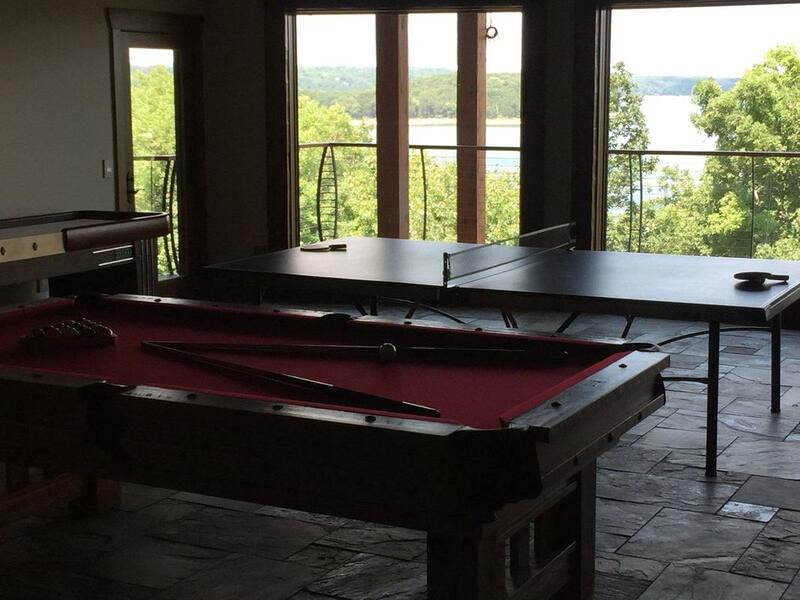 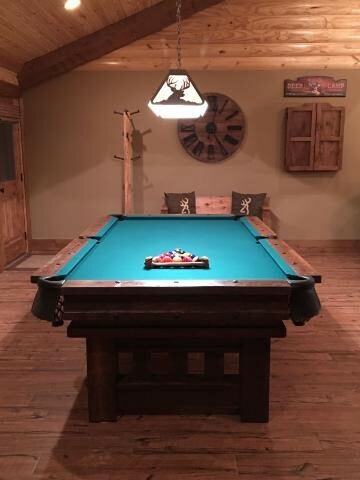 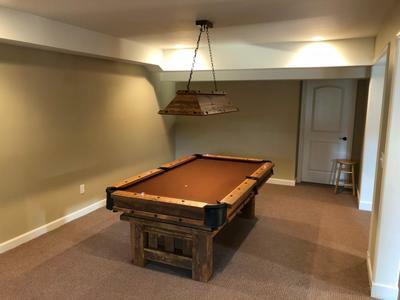 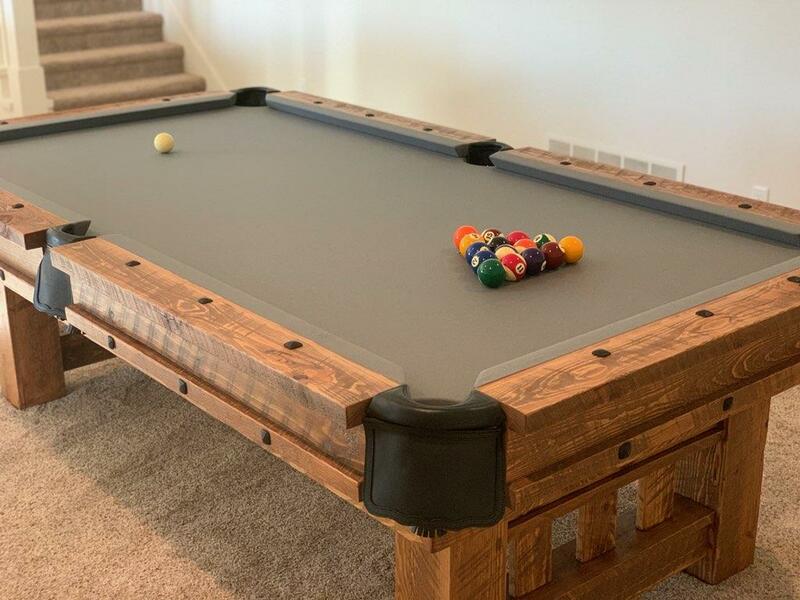 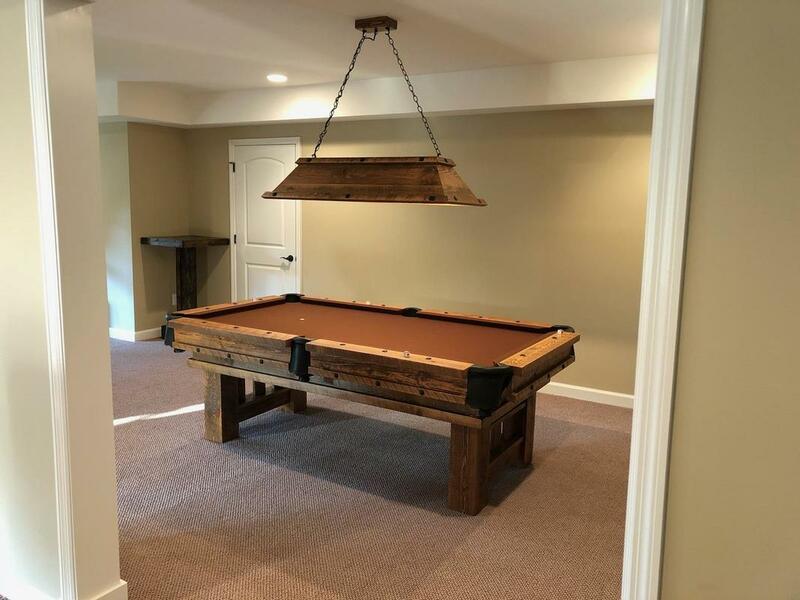 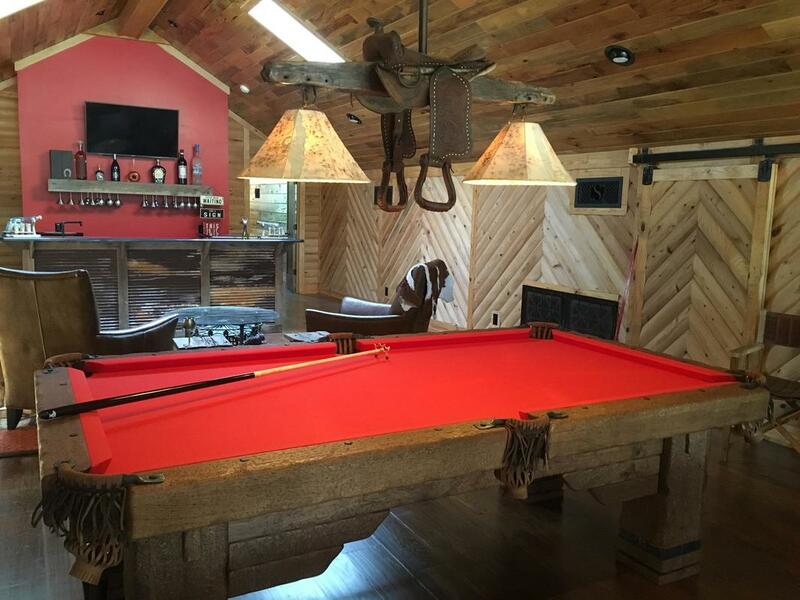 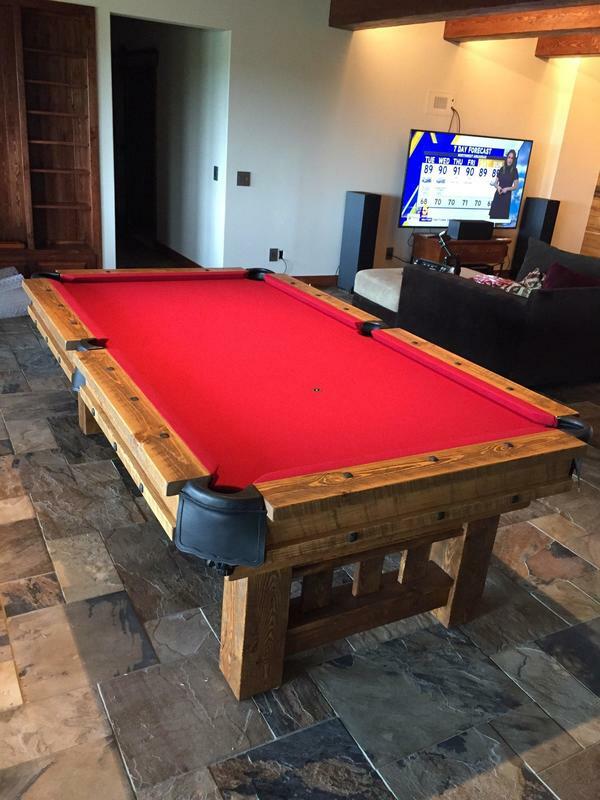 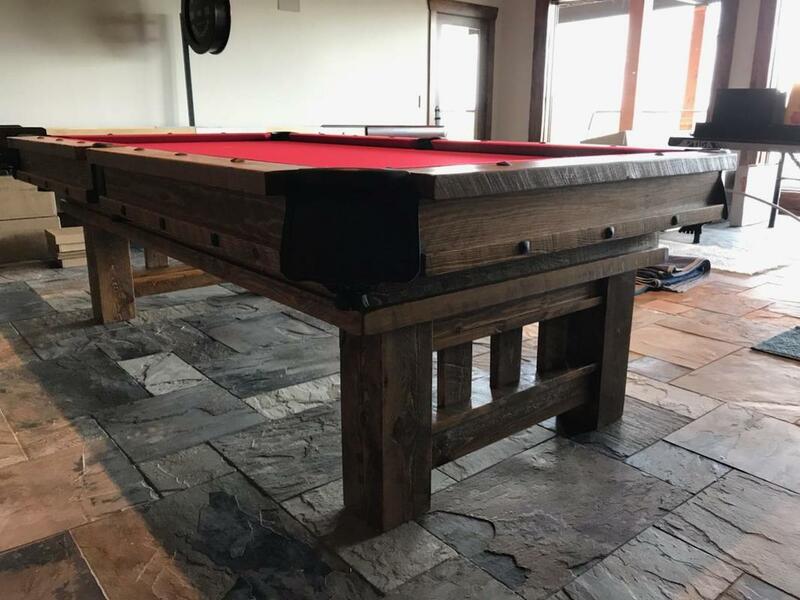 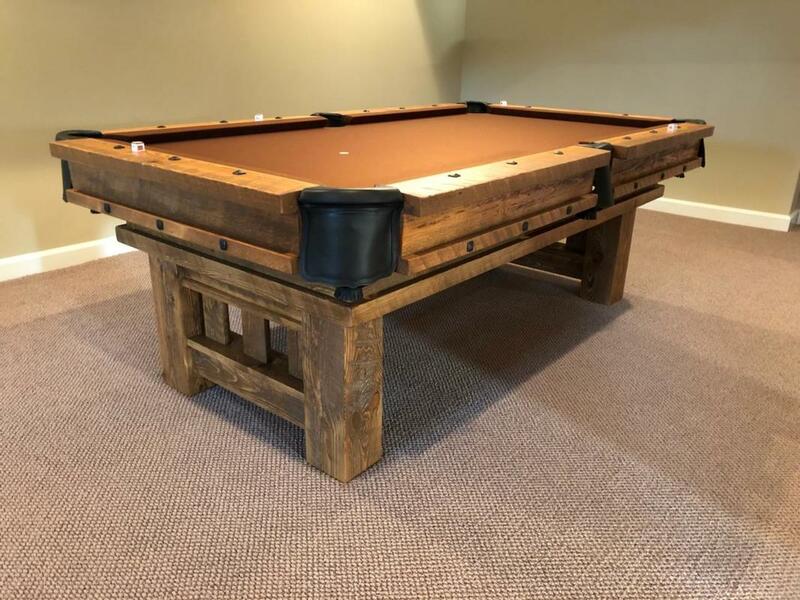 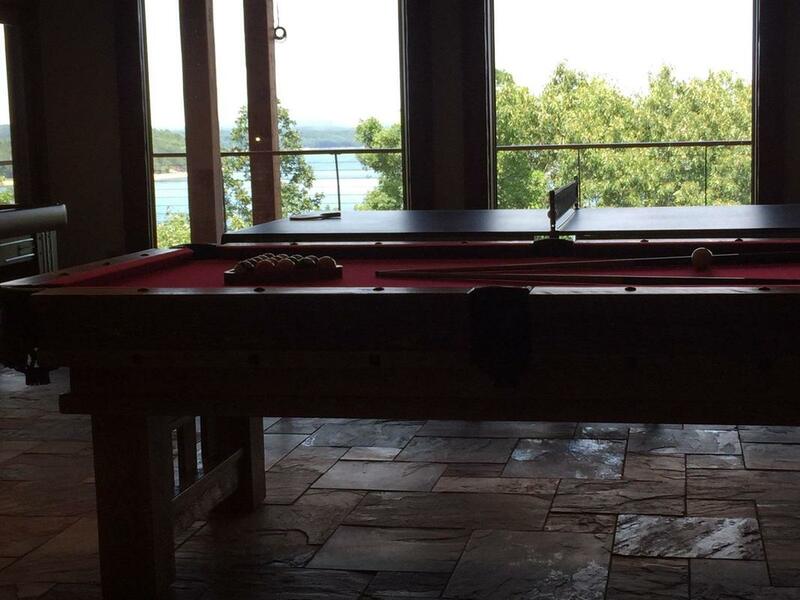 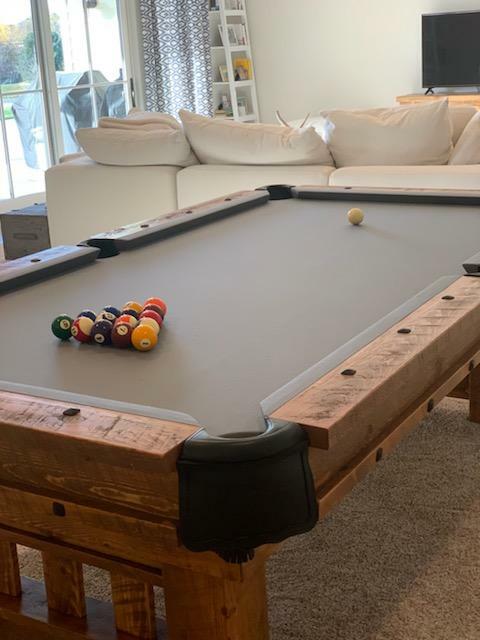 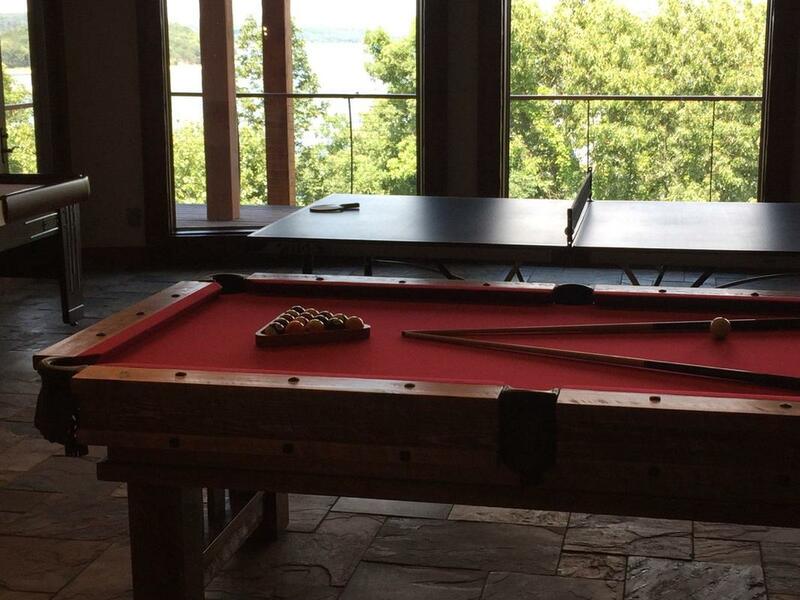 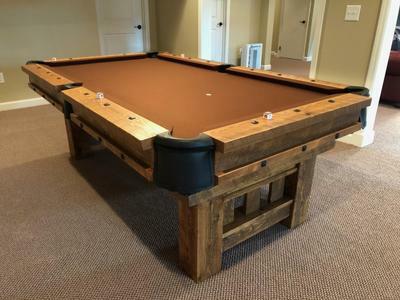 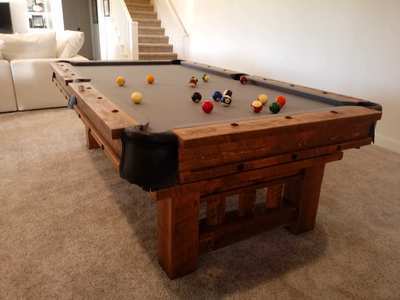 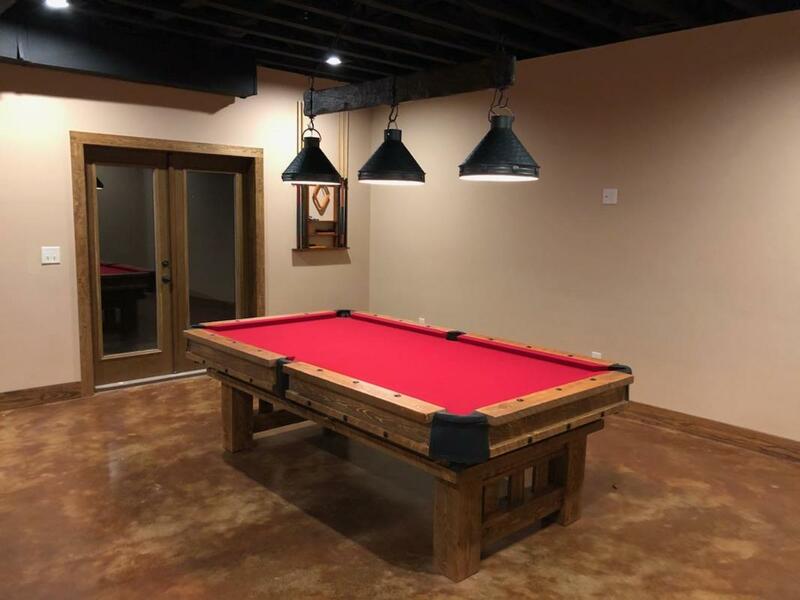 ​"Awesome pool table and great customer service. Brian took all the time needed to make sure I was getting what I was looking for. 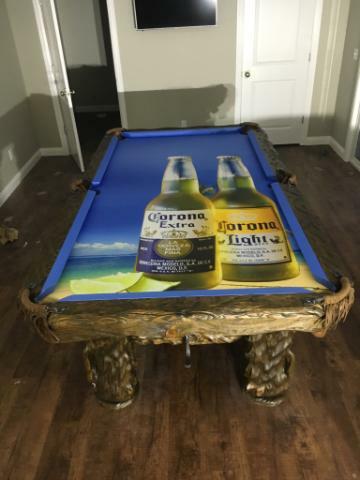 Great product, couldn't have asked for a better company to make this purchase through. Thanks Brian of Rustic Billiards for the service and the product. 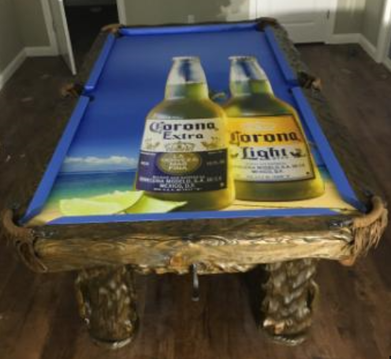 Recommend to anyone looking for something different that you just simply cannot find in your local stores." 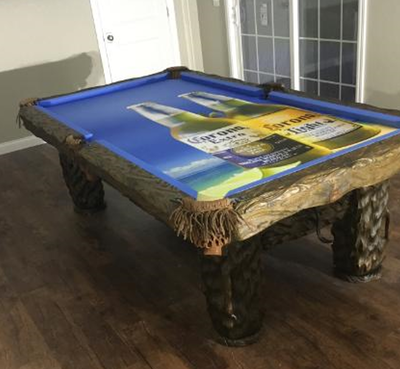 "I almost literally decorated my room around this table"
"Love everything and so appreciated your help. 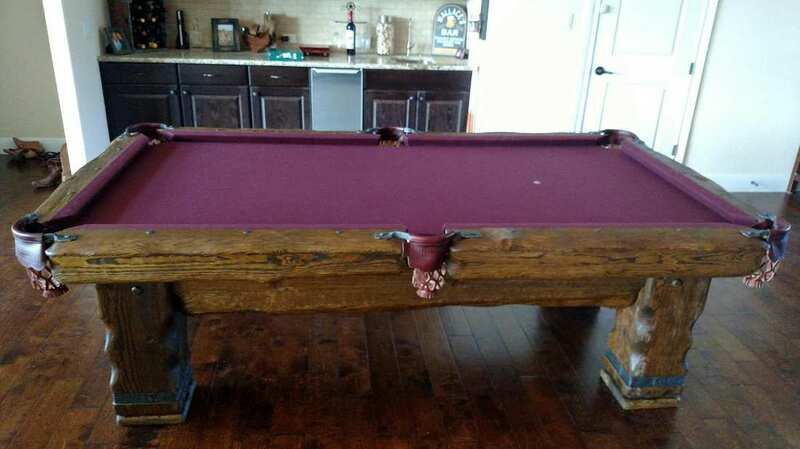 Super, thanks Brian!" 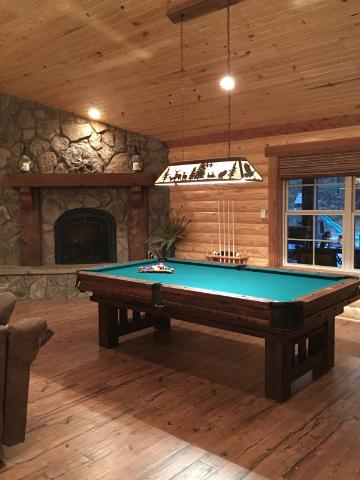 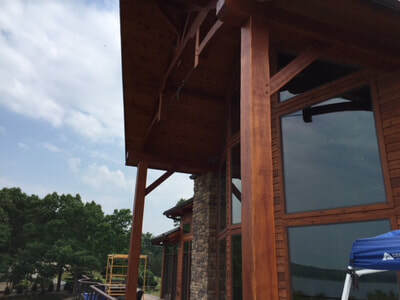 "It looks so rich and the logs are gorgeous. 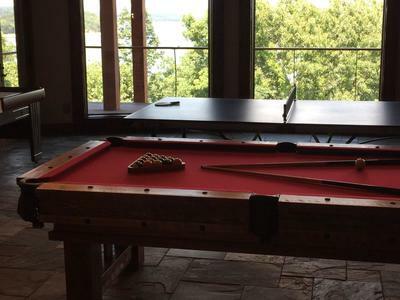 We have enjoyed it a ton over the Christmas break. 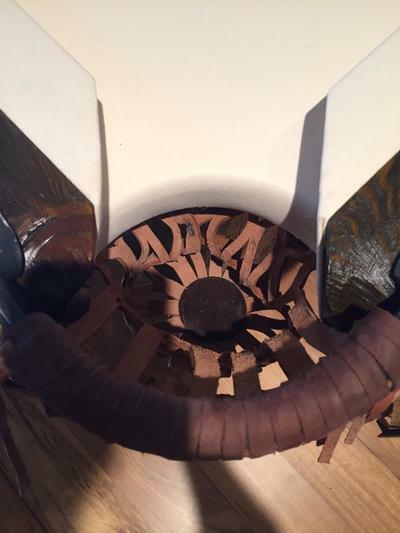 It's beautiful and everything went very smooth! 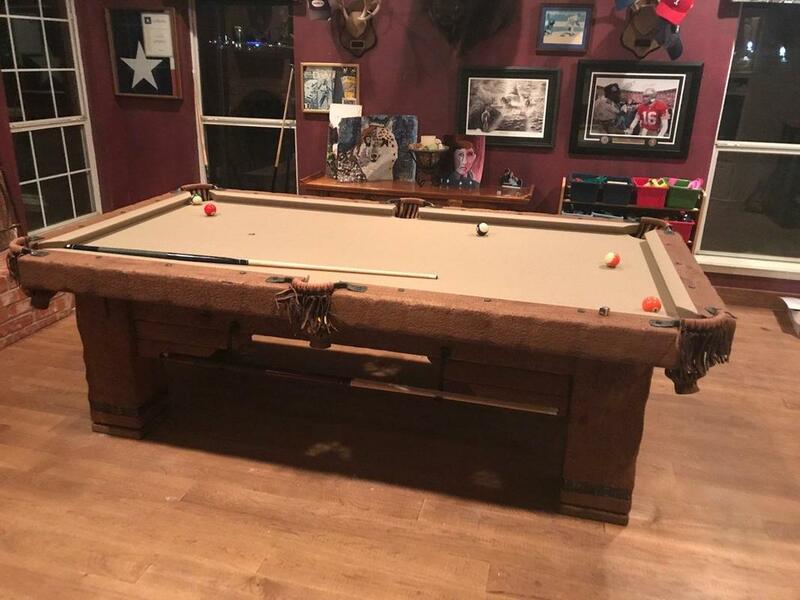 We are very happy we purchased it and know there are many fun yrs ahead. 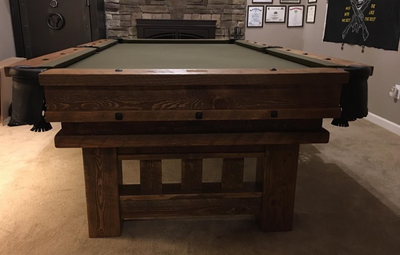 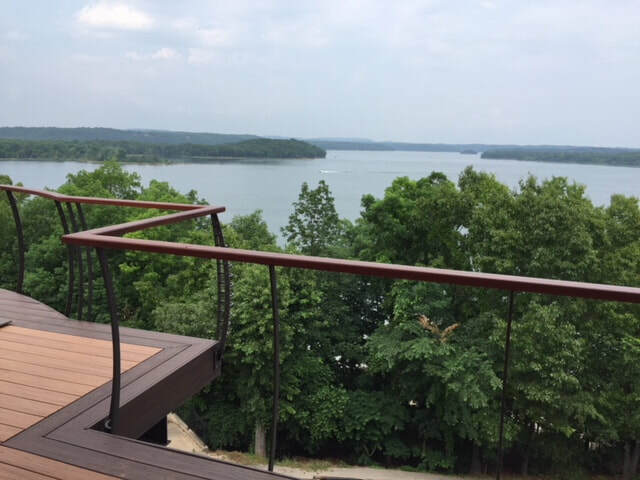 We love seeing pics and receiving testimonials from our customers.